In most recent news, the Center for Disease Control and Prevention published statistics that indicate that HIV/AIDS is down in African American women has dropped. Planned Parenthood of American has published that teen pregnancy rates have decreased as well. Again, the progress made in preventing new HIV infections and the lowering of unintended pregnancies is to be applauded. However, the work to reduce these rates in NYC is an uphill battle. NYC still sees high rates of HIV/AIDS, and STDs in communities of color. Couple this with high rates of "Stop & Frisk" and there lies an epidemic of mismanaged health care for these communities. Based on where you live in NYC, poverty, low high school graduation rates, high rates of STDS/HIV infections and high recidivism continue to plauge communities of color in NYC as exemplified by our most recent GIS study based on zip codes in NYC. It is through a call for policy changes and the enforcement of the NYS mandated HIV/AIDS curricula, the NYC mandated sexual health curricula and the most recent Health Male Initiative (2012) that we are working to empower the young people that commit to the year long programming of WE SPEAK to bring these rates down. 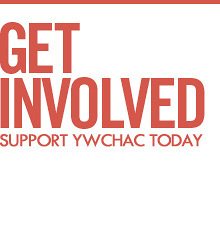 YWCHAC is committed to advocacy and policy reform that affect the youth of NYC.